I'm Sherlock Holmes, I am a temporarily suspended consultant for the NYPD. This is Joan Watson and she keeps me from doing heroine. 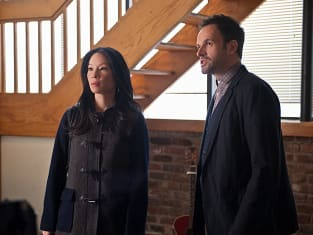 Elementary Season 1 Episode 13: "The Red List"